The attorneys at the Law Office of Rathi and Associates have successfully served the immigration needs of individuals, families, and corporations throughout Michigan, the United States, and abroad from more than 100 countries. 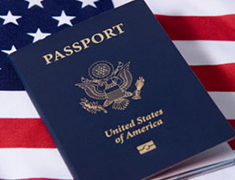 We can help you to obtain a green card and becoming a permanent resident of the United States. We at Rathi and Associates are ready to take on even the toughest green card cases and help you achieve legal, permanent residency in the United States. At the Law Office of Rathi and Associates, Immigration Attorneys we can help to keep you on the path of the naturalization process and achieving the American dream to achieving US citizenship. We can assist you with every type of visa including those for a fiance, family, work, travel and all others. Our goal at Rathi and Associates is to keep families and loved ones together and provide assistance to those around the world for the opportunity to live and work in the United States. We can defend you against removal from the US. The civil proceeding of deportation is when a non-U.S. citizen is to be removed from the United States for violation of certain immigration or criminal laws. In addition, we handle immigration appeals and waivers, as well as any immigration lawsuits that may arise.